The protection of people’s safety, rights, liberties and pursuits of happiness in the context of Artificial Intelligent systems. I want ethical, responsible, transparent, inclusive, beneficial AI for everyone. I want a future where we can all use Artificial Intelligence to the fullest extent and not have to worry that we just compromised the future of our kids, grand-kids, or ourselves. For example, I don’t want to worry that a self-driving car might hit my daughter. Or that a pregnant woman could be discriminatory screened out of much needed jobs simply because the AI could pick up that she was pregnant. Instead I’d rather my teen daughter be assisted in driving more safely by an AI car, and a pregnant woman to be able to use AI to find the perfect flexible job for herself or her husband. I ran the Chief Data Officer and Emerging Roles Program for IBM. When many data-driven organizations started turning more to data science teams for machine learning and other AI building blocks, it was natural for me to move from helping to establish those positions inside of firms and building best practice communities to actually helping them build custom AI solutions based on what I knew of their needs and their approaches. 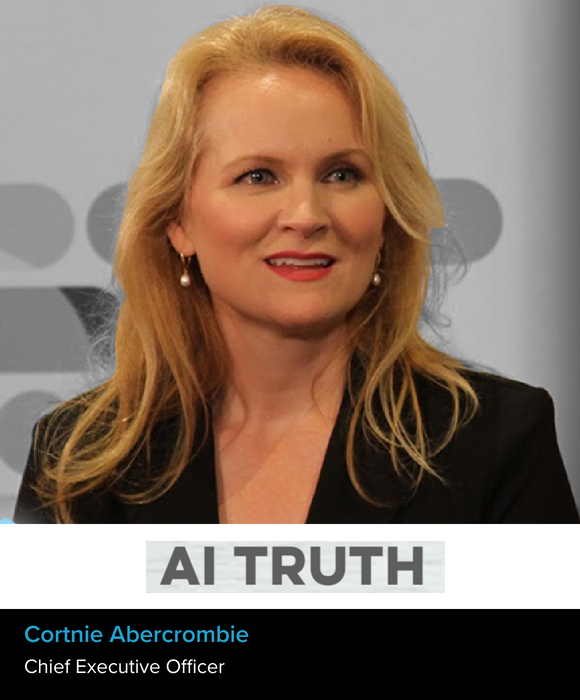 When I saw how nonchalantly some business leaders and ambitious data scientists were treating AI projects and with minimal thought to how it could impact the rest of us, I knew I had to take time out from my AI career at IBM to educate people about what AI is, how it works, how it can go wrong, and what to do if it does. Too many to call out fairly and do them justice. I felt like the whole of the emerging roles communities, the Data Scientists, Chief Data Officers and Analytics Officers, had taught me so much about the way things get done inside their respective companies and industries. They were so open in explaining their best practices and when I heard really great ones I couldn’t wait to share them back to others so they could also try the new approaches. I feel like the luckiest person on the planet to have the very first data and analytics leaders of their kind as my tribe of mentors. I would describe them as a family. They are open, scrappy, full of grit, passion, determination, perseverance, diplomacy, and ingenuity - most of them with an excellent sense of humor and superior collaboration skills. Right now I’m working on incapsulating all of the learning from my last few years working with Data Science teams, Chief Data Officers, and Chief Analytics Officers on Artificial Intelligence, Data, and Analytics projects so people can learn the real truth about how data, analytics and AI work, what kinds of issues can arise, and what to do when they do. This is taking the format of a book first, but I’m also putting it out there in some of the blogs I’m writing, event presentations and some limited consulting/advising I have been doing on AI Ethics. The more I interview different people about what they need to know to feel like they can steer the ship on AI, the more I realize how much this kind of book and information is needed for everyone. I’m also learning how incredibly disconnected some of the major contributors to AI can be inside of companies. For example, one of the major drivers of AI are new digital platforms, but its been fascinating to watch as data scientists will try to do all of the data work themselves - sometimes without realizing they have access to Data Offices that can help them set up data operations that will solidify their Minimal Viable Products into scalable implementable long term solutions. I’ve also learned that I’m completely validated in saying that 90% of the screw ups that happen in AI is related to data! So far most everyone I’ve talked with agrees. Which just tells me there needs to be more connecting the dots with Data Officers and eduction on good and ethical data practices. Finally, I’ve learned that we can make no assumptions about AI at this point. It is still a truly experimental field and just when you think you may have something figured out, new methods can change all of the building blocks and how they fit together. This means its more important than ever for business leaders to lean in to AI and truly understand it so they can protect their brands, their ROI, their client’s safety and so much more. I am so excited about the potential of AI (as long as its done ethically)! We have barely touched the surface of what AI can do. If anyone remembers what our first video games were like..for example Pong…where you just hit that little ball painfully slowly back and forth…that’s where we are right now with AI. But I can envision a day when we finally reach HALO (or insert your favorite video game here). Right now its easy to think of Amazon as amazing retail. We can see who is providing the retail item and what others have to say about the item in the reviews. Down at the bottom we can even see what else people have bought. But I have a vision of AI that completely changes what “Retail” means for us. Where finding and sourcing things that go together become a community based approach completely driven by the consumers, not “buyers” inside a store. Where retail isn’t intrusive but inclusive in its approach and advertisements are a thing of the past because the consumers are driving the trends by their needs and their locations. AI is simply the connective tissue to bring it all together and make the designs, the products, and the digital platform to help us collaborate and communicate. I could envision Augmented Reality where I could view myself in ensembles that others in the community have already put together for specific venues and event types (beach wedding, baseball game, first interview). Wouldn’t it to be fun to search outfits by event, age group, weather, dog walking club, and anything else you can come up with? I could see a future where our health and genetic information could become something that brings us together and allows us to share not only physical phenomena associated with a health challenge but also the psychological aspects. Where treatments get shared not just amongst doctors but amongst patients looking for best practices on dealing with their illnesses. Treatments that may not include just medicine but also recommendations from other migraine sufferers on what helps migraines such as hot baths or certain colors or certain kinds of tea or coffee. I can see how IoT, Blockchain and AI could come together to help us stay in our homes longer when we’ve reached a certain age. Think about pill bottles that can tell you that you’ve already taken that medicine. Or a stove top that can indicate loudly that its been left on, or worse left on and with food that’s about to burn and turn into a fire hazard. There may be little robots that can roam about the house helping to clean hard to reach areas, but also able to perform visual recognition of when a person has fallen and is unconscious so that it can alert 911. There is so much potential. Its so exciting. Its hard to even know where to start. Take as many statistics and machine learning classes as you can at university, online, at a place like Galvanize - just do it. The skills are in super high demand right now and hiring companies will not care whether you got them from Stanford or some place online as long as you can demonstrate your skills. Also, never consider yourself to be done with classes or learning. AI and data analytics are constantly evolving. Take programming classes - not just Python. Take Java and mobile IOS development as well. Have fun experimenting and build, build, build applications. Be prepared to show that you can wield data and analytics and bend them to any real-life situation you can dream up. These are the people who go the furthest the fastest. If you can be the person who can show an MVP (minimal viable product) and you can do this on your own or with a minimal team, you will win: the deal, the raise, the new opportunity, the venture capital. But most importantly THINK about the implications of what you build and choose to do something good - not just ambitious - but GOOD. You have to live with yourself and sleep at night. So just say NO if someone in a higher position tries to get you to do things that don’t seem quite right.